Political Tacks: Should Syrian Refugees be Allowed into the United States? We are patriotic and support the best interests of the United States. Should Syrian Refugees be Allowed into the United States? The matter of how to deal with the Syrian refugee crisis is not as clear cut as either side of the great cultural divide would like us to think. I have watched with a combination of dismay and bemusement over the last year as my Facebook feed has blown up with irrational beliefs and fears from both the right and the left. All of this has been complicated by the acts of domestic terrorism in Colorado Springs and foreign terrorist attacks by legal residents of the US, some born American citizens, some immigrants, some the children of immigrants (Orlando). To clarify things in my own mind, I decided to list out various observations about the issue, based as closely upon fact as can be managed with a soft science topic like this, and judge it against my personal values. I am mostly satisfied with the result, although it is also true that I have changed my opinions several times in my life, if not my core values, and therefore my policy positions have changed several times. In other words, ask me in a few weeks if I still agree with my conclusions here. You may get a different answer. Less than 1% of muslims participate in terrorist conspiraciesA. Worldwide, about 10 - 15% of muslims support islamic terrorism. This implies a support of belief rather than literal participation as in item 1. In the US, it seems this number is more likely between 5% (1 in 20) and 8% (1 in 12)B. Worldwide, about 75 - 80% of Muslims are IslamistsC. This means that they believe government is only legitimate if it is informed by and in agreement with islamic law. This includes an expectation that the law will be enforced by government. Most Syrian refugees are Muslim. 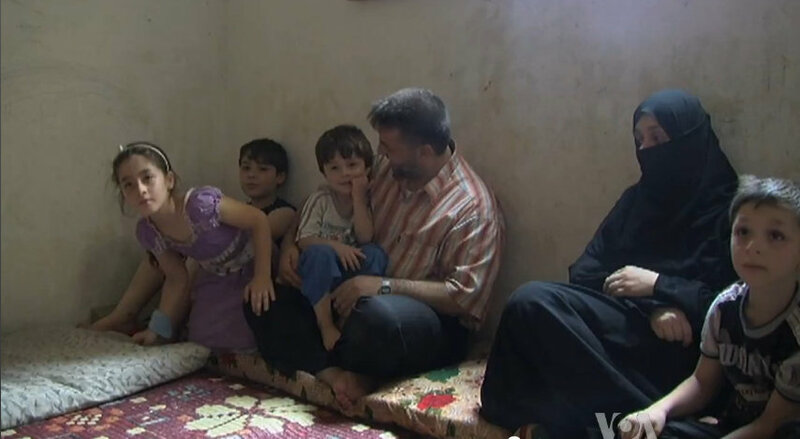 Syria has a significant Christian minority and it seems there are some Christian refugees. I don’t have numbers on this and suspect that hard numbers do not exist but it seems to be a consensus. Terrorism constitutes an attack on non-combatants for purposes of striking fear into the general populus, or in hopes of influencing public opinion. I do not consider terrorism to include attacks on military or law enforcement targets, which are legitimate acts of war. This differs from the prevailing legal treatment of terrorism under US law. I’m stating my personal opinion, not a legal opinion. It is reasonable that civilian non-combatants should be able to flee an active combat zone. This is a basic right of self-preservation and is analogous to the right of self-defense. It follows that the international community probably should have some reasonable means of dealing with refugee crises (i.e. we have to put them somewhere). For the same reason as above, the right to self-preservation, Americans do not have to put themselves at risk to help other peoples. People have a right to exclude warring parties from their communities. Helping others is a choice we can make, but we have the right to refuse to accommodate refugees. Cultures have a right to protect their own existence and the safety of everyone in the culture, the right of exclusion follows. In other words, I do not accept that freedom of movement across borders is a human right. Indeed, insisting upon dismantling borders in a world where warfare exists is actually a violation of rights, because it forces non-combatants to be exposed to combatants. It is possible to exercise rational judgment upon other people. This is true both when judging individuals and judging societies that can be defined based upon common characteristics such as history, religion, or geographical proximity (and remember that societies usually define themselves). Our society seems to be preoccupied with rejecting all judgment as inappropriate (especially the generation below 30), but the reality is that law and order are fundamentally based upon judgment. It is impossible to navigate human society without exercising judgment. It is true that Anglo-Irish society has had a problem with being too judgmental in the past (Victorianism, segregation, etc), but it seems to me that our current problem is the exact opposite. People are not exercising enough judgment and it is definitely causing problems. In order to be good citizens, we both rightfully can and should exercise moral judgment upon others, based upon their actions and behavior. Not all Muslims are terrorists, although the proportion that support terrorism is disappointingly high. Still, I feel it is necessary to hold off on treating every Muslim as if they are a terrorist or supporter of terrorism. A large proportion of islamic society is simply trying to perpetuate their own existence and provide prosperity for themselves and their children in reasonable safety. As long as they don’t mess with anybody else, they have just as much right to pursue happiness as the next person, regardless of race, color, creed, religion, etc. Domestic terrorism is a significant problem in the United States, but it is both qualitatively different and is less of a threat to freedom than foreign terrorism. This is because domestic terrorists in the United States accept the majority of our belief system, and commit acts of terror over comparatively small sections of public discourse in hopes of improving conditions in the United States, whereas foreign terrorists are usually trying to bend the entire country (or world) to their will, which is generated from completely external value systems. Note that I consider terrorists that are US citizens but have pledged allegiance to foreign organizations like ISIS to be foreign terrorists, since they are essentially taking orders from abroad. This is not to say that domestic terrorists do not represent a problem of public security. Of course, I expect law enforcement to act against domestic terrorists just as vigorously as they should against foreign terrorists, but they are less of a long term threat to our entire way of life. Most of our domestic terrorists in the US accept republican government. Foreign terrorists that have targeted the US in the past typically have not supported republican government. False Equivalency: One muslim is a terrorist, therefore all muslims are terrorists. My analysis: Clearly not all muslims are terrorists. The proportion who approve of terrorism is disappointingly high among muslims though. Still, most Muslims do not support terrorism. See observations 1 and 2 above. My analysis: Just because you know a well-traveled, highly educated Muslim who holds very similar values to the average, secular-minded non-muslim does not mean that all Muslims are like this, or even that most Muslims are like this. Most Muslims definitely do not fit that description, and it is demonstrable through scientific surveys. Such people are atypical and represent only a minority of muslims worldwide. See observations 1 through 3 above. False Equivalency: The Syrian refugees are the equivalent of previous waves of immigrants, usually with a comparison to shiploads of Jewish refugees from Nazi Germany in the late 1930s. My analysis: People that say that apparently are completely unaware of the average level of anti-semitism among Muslims, and particularly among Arab Muslims. A more accurate analogy would be a shipload of Nazis fleeing justice to Argentina in late 1945. They are not the oppressed, they are the oppressors. No, not all are anti-semitic, but the numbers on this are staggeringD. The vast majority of Muslims are moderately to extremely anti-semitic. This doesn’t even begin to count the presence of war criminals in the batch. It has been noticed that a suspiciously large proportion of Syrian “refugees” appear to be young men of military age. Some are fleeing service. Many, no doubt, are fleeing consequences (i.e. a war crimes trial). False Equivalency: Islamists are no worse than Christians in that they do not respect the separation of church and state. My analysis: Islamic law is vastly more extreme than Christian commandments, nor are Christian rules as specific and well-codified as Islamic law, meaning that “Christian Law” is more flexible. I certainly have argued against Christian interference with government and will do so again but to draw a comparison between Islam and Christianity on this topic is practically meaningless and almost certainly willful misrepresentation. Letting Syrian refugees into the United States contains an element of danger for the country, both in the literal sense of physical safety but also in the sense of perpetuating our form of government and our beliefs in personal freedom and separation of church and state, but probably is a duty, or perhaps necessity is a better word if you don’t like the concept of dutyE. We will just have to screen them as well as possible and accommodate them as necessary. This does not mean they should be allowed permanent residency. Critics of letting in Syrian refugees are probably correct that we will be letting in people who want to kill us and who do not respect the separation between church and state. It is certainly true that the vast majority of Muslims believe that everyone, everywhere should be governed by Islamic law, whether or not they are Muslim. Therefore we should do everything we can to screen them carefully, and once here they should be surveilled beyond what would be acceptable for a US citizen. Anything less is risking the lives and freedom of innocent people. There is a huge difference between domestic terrorism and foreign terrorism. It is difficult to impossible to prevent domestic terrorism. I have not been able to think of a way to prevent all domestic terrorism without throwing away all of our rights. Indeed, I’m pretty sure that even if we gave up all our rights to free speech, free association, free assembly, free press, privacy, and anything else you can think of I still doubt we could completely prevent domestic terrorism. We can easily prevent foreign terrorism by simply not letting in people who are suspicious. Regarding normal voluntary immigration, usually called "economic migration," rather than discriminate against any individual group, it is best to just restrict immigration almost entirely (except refugees). This solves several other problems as well, especially environmental and land use concerns. I may write more about this later. Syrian refugees are definitely not “just like us.” The values of almost any other race, creed, or religion you could name seem to integrate with American society. Muslims foresee a future of theocracy imposed upon America like a conquered state. This is because almost everyone agrees upon basic secular law to protect individual rights and support democracy . . . except Muslims. The Muslim idea of democracy is embodied by Iran, the "Islamic Republic." Technically, Iran is a democratic republic, in that they have elections, yet it should be clear to everyone that is not a free country. The definition of what constitutes Americanism is pretty broad, but there are reasonable limits to everything. People with other religious backgrounds generally aren’t out to kill me or subjugate me to their religious laws. It’s just Muslims that want to do that, en masse, and sight unseen. If you are not Muslim, then they have a plan for you, and it is called Islamic Law. The point of this document is to illustrate that judgment can be exercised in a way that is rational, even where fear is present. There is such a thing as rational fear. Bigotry and racism are irrational fears. Acting on rational fear is merely the exercise of judgment. People still call this racism all the time when applied to immigration issues but I strongly advise you not to confuse rational judgment with racism. Think about it. I’m not going to cite my source on this one, but I think it's a reasonable number. Less than 1% of the US population participates in warfare, yet the US is considered one of the most warlike countries in recent history. Summarized, but here is a pretty good link. http://www.pewresearch.org/fact-tank/2016/07/22/muslims-and-islam-key-findings-in-the-u-s-and-around-the-world/ I have seen the percentage for the US as low as 4%. This is still 1 in 25. I have known quite a number of Muslims in my lifetime, which means that even in the best case I have almost certainly known at least a few muslims that wanted me dead, or at least thought it was legitimate to just murder me merely because I am American, or non-Muslim, or whatever other excuse they have. If you are not a Muslim, and have known more than a few Muslims, the same is true for you. Again, in the United States and some other countries the number is lower, but the topic here is refugees from Syria, so those numbers don’t apply. Syria is a country with very high support for Islamic law, despite it not being officially supported by the secular government. Sharia exists both within the areas controlled by the government and in all known rebel-controlled areas, albeit alongside legalistic government, except in the Islamic State where it is only religious law that governs. Anti-defamation League survey: http://global100.adl.org , also http://www.haaretz.com/israel-news/.premium-1.724288 There are no recent stats on Syria, probably due to it being in a state of chaotic civil war but also possibly because the officially recognized government is authoritarian and has been for decades.
. . . in which case I think you are a bottom feeder, and possibly worse than a terrorist. I have known a few such people, some of them I might even call friends in the sense of acquaintance, but I think a lack of belief in civic duty or civic virtue is destructive to society, and limits personal potential as well.